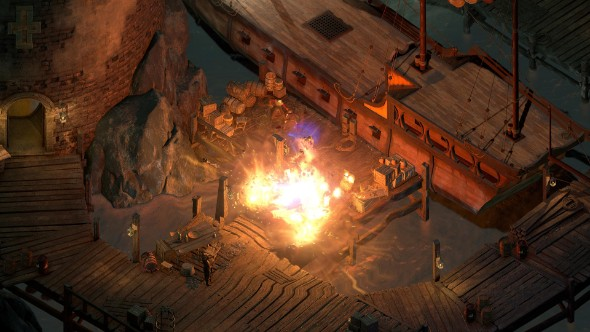 Youtuber Onin has completed Obsidian’s latest epic RPG, Pillars of Eternity II: Deadfire, in just 26 minutes. You can check out his video below. If you’ve beaten Pillars 2 you’ll need a new one – check out our list of the best RPGs on PC! In his speedrun, spotted by Kotaku, Onin uses a range of exploits to beat the game in less time than most players spend in the character creator. You can check it out below, just be aware that there are a lot of spoilers. As Onin himself admits in the video’s description, it’s not a completely pure speedrun as he uses ‘Blessings’ to augment his run. These are boosts you can unlock through playthroughs of the game that can up use to up your starting level, stats, and gear. “Blessings are mainly used because they make the run less tedious,” he explains. “They mainly cut down on time spent duping gold. It’d take several minutes longer to obtain 105,000 gold without the Blessings.” He adds that this money is to fully upgrade a ship in order to reach Ukaizo, the game’s final area.